The CoffeeShop Blog: CoffeeShop Facebook Cover 7! I made another Facebook cover/website header and wanted to share it with you. I have included a psd with clipping masks and also a png with photo cutouts that can be opened in any photo-editing program. Colleen of Chasing Dreams generously donated the gorgeous texture used in this design. It is from her Wild West collection. The download is at the bottom of this post. 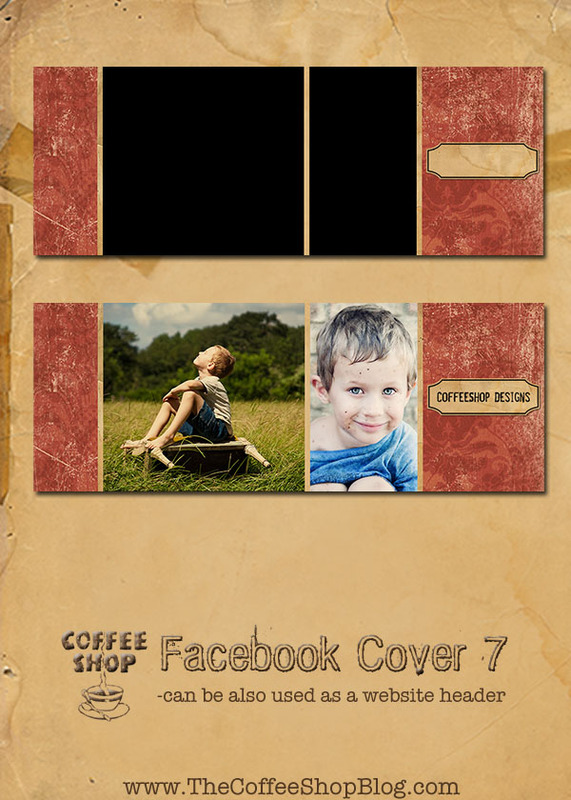 Download the free CoffeeShop Facebook Cover 7! You can also download it here. TY! you are sooo talented and generous. i/we appreciate YOU! Thank you so much for this post. I want to let you know that I posted a link to your blog in CBH Digital Scrapbooking Freebies (please, notice the new url for my blog), under the Page 3 post on Jul. 12, 2012. Thanks again. Thank you so much for this post. I want to let you know that I posted a link to your blog in CBH Digital Scrapbooking Freebies (please, notice the new url for my blog), under the Page 2 post on Jul. 12, 2012. Thanks again.